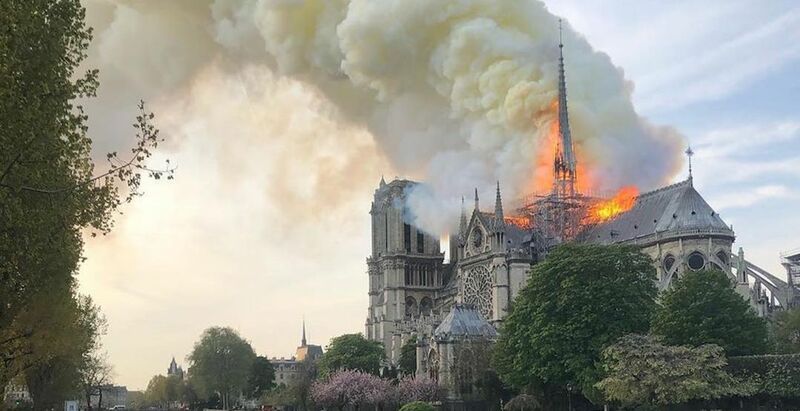 A fire broke out around 6:50 pm CET on April 15 at the Notre-Dame Cathedral on the Île de la Cité, located in the 4th arrondissement. Onlookers have shared images and videos on social media. As of midnight CET, the Notre-Dame Cathedral’s main structure has been reported as safe, and France has vowed to rebuild. Read the update here.